I was shocked to find that abandoned flip-flops are everywhere, not just near sea-side condos. 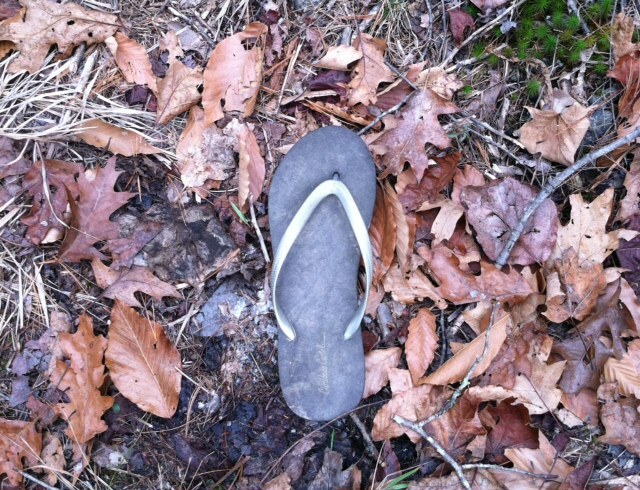 This entry was posted in Minimalist and tagged abandoned flip flops, Keynesian Cargo Cult, signs of the season. Bookmark the permalink.